Learning computer programming is fun in itself, but when the computer is connected to external sensors and outputs, your programs can interact with the real world. This is known as physical computing and it opens up the opportunity to create some fun projects. I am a big fan of learning by doing. It’s much easier to learn when you get to make the projects rather than just read about what other people have been done. It’s even better when those projects are fun. This book covers simple projects that you can do at home to make games, control toys, create your own films, or just have fun. The Raspberry Pi computer is great for learning physical computing, thanks to special pins that provide access to ports on the processor. These 40 pins (26 on earlier versions) provide a simple way to extend computing into the physical world. 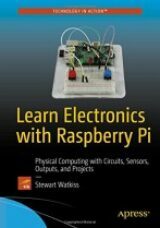 The circuits in this book are adding sensors, outputs, and electronic circuits to a Raspberry Pi. With a little bit of programming, these can do some pretty amazing things. We will start with some simple circuits, which can be controlled from Scratch, and then move up to Python and some more complicated circuits. By then end of the book, we will have covered enough so that you can start designing your own circuits. Most of the circuits can be created by plugging wires into a solderless breadboard, but there are tips on how to solder, which opens the possibilities further. You’ll learn how to design custom circuit boards and look at how you can use some of the common Raspberry Pi add-on boards and HATs. 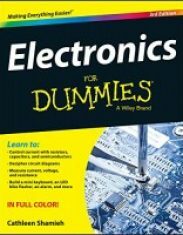 This book is for anyone who wants to learn about electronics and have fun in the process. This book focuses on fun projects so is great for older children and young adults. My eight-year-old son helped with some of the easier projects so young children could have a go with adult help. While the fun aspect appeals to younger adults, there’s no maximum age for having fun, so this is just as useful to adults of any age who want to learn about electronic circuits and connecting to the Raspberry Pi. 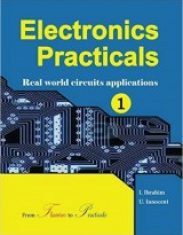 You don’t need to know anything about electronic circuits before you start. Having a basic knowledge about computers and computer programming will be useful, but is not required and will be explained as we go. We’ll be using Scratch and Python, as they are good programming languages for those learning programming, but the electronic circuits can be controlled using any programming language that can communicate with the GPIO ports. As with many books, you can read this book from cover to cover, or you can jump straight to the project that you find most interesting. The book introduces new concepts and components in each chapter. The first few chapters start with simple circuits and work through to more complicated circuits. There is an explanation of each circuit as you go, so for the first few chapters you will find it most useful to follow in order, making the circuits as you go. 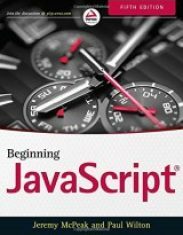 Most of the circuits in these first few chapters are based on low-cost components that should be within the reach of most readers. Most of the projects are within a single chapter, but a few need some of the concepts explained in later chapters and so are split between the chapters. The notes explain which chapter you will need to refer to for the rest of the project. Some of the later projects do use more expensive components or add-on boards for the Raspberry Pi or are designed to interact with more expensive toys. Where possible, boards have been chosen to keep costs as low as possible. You may want to just read about how the circuit works or look for the suggestions on how these can be adapted for use with cheaper components or items you already own. Creating the examples in this book should not be considered the end. 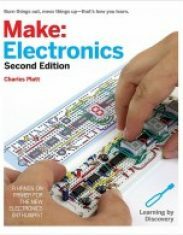 I hope that the information in this book will provide you with the inspiration and knowledge to go on to learn more about electronics and design your own circuits. I’ve added a summary of some of the components in the appendix along with some extra technical details that are useful when designing your own circuits.